Dropping atomic bombs on civilian populations, getting the United States entangled in the Korean War, and hating dogs; it is odd that history remembers Truman so kindly. At least we won a war back then. All we have done since is play political wars with a bunch of sabre rattling and sacrificing young adult for political and economic gain vs. winning the “war” Populations are killed during wars. This isn’t news nor should it prevent us from winning. Those consequences should be studied, evaluated prior to going to war. War is the last alternative, but once committed, it should be fought to be a total victory, mecilessly. We don’t do that now and that is why we have lost every war since WWII, the big one! Welcome to loserland! Odd that you forget the unprovoked attack on the United States at Pearl harbor in your memory of Japan’s civilian population. 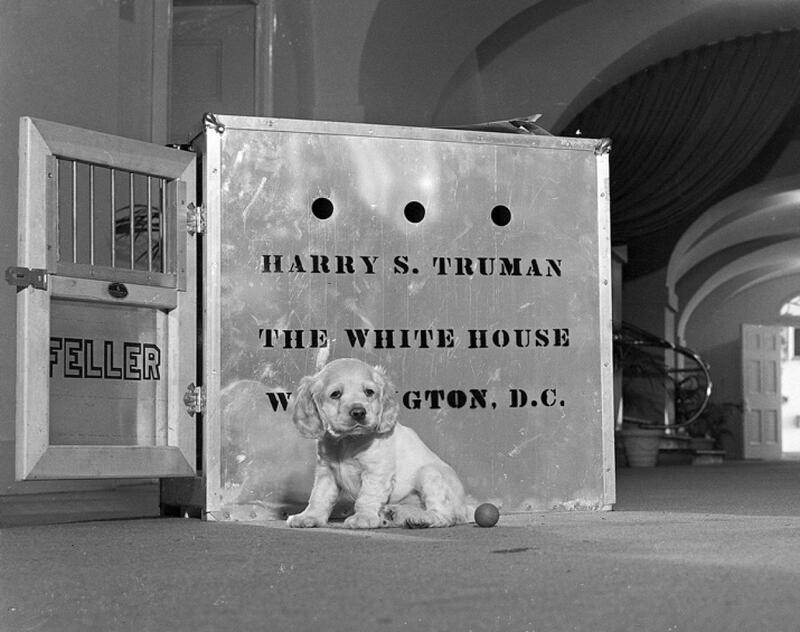 As to Harry Truman not liking dogs…..it’s not a bonafide barometer of a person’s character. I’m a dog lover, yet I know a lot of very nice people who don’t like dogs due to a bad incident happening in their youth…. and there are a lot of very bad people, who use dogs to polish their image, while in private, not being very nice to their dogs! I’m sure Feller had a lot more fun running around an Ohio farm, then being stuck at the White House! Truman did him a favor, being honest, instead of trying to garner public adoration! Ok, agree with everything you said; Except about dogs. Bad people do not like dogs….true. Wow!!! I can’t believe people actually sent hate mail just because he didn’t like dogs??? That’s psycho to send Hate mail just for that reason. BTW this article isn’t right when it says ” every president had dogs” OH NO THEY didn’t. Thomas Jefferson didn’t have a dog , Andrew Jackson didn’t have a dog and I’m sure there more. Hi Shelly, Thanks for commenting! Just to be clear, the article says *since* Truman. I’d have to double check with our Historian-in-Residence, but until this administration, I do believe that is correct. 🙂 Thanks for visiting!